SEO is constantly evolving, and as a small business and website owner it’s important to stay on top of the rules and algorithms that determine how your website ranks in search engines. 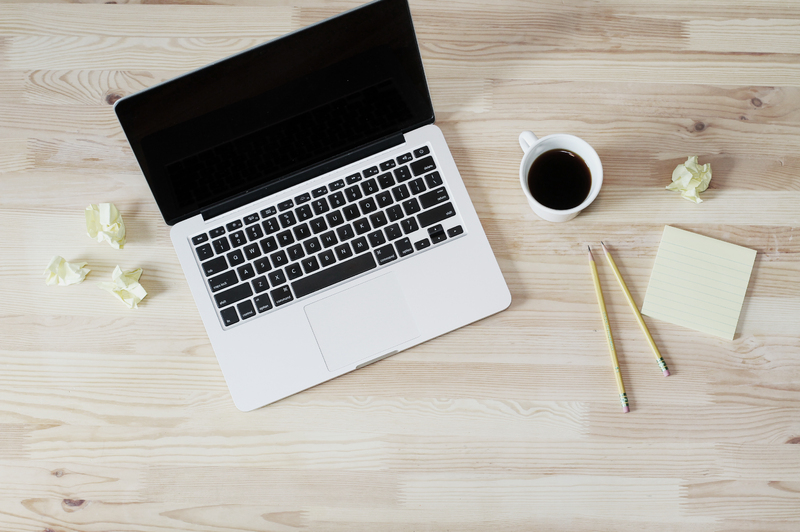 To make things easier, we’ve rounded up our top search engine optimization blog posts, webinars and toolkits to help. If you make even a few changes based on the information below, you’ll start to see your website rank higher on search engines like Google. This 60 minute video workshop covers everything financial advisors need to know about SEO, including the basics (on-the-page versus off-the-page factors) as well as more technical elements, such as site architecture, the way Google’s algorithms work and much more. You’ll not only learn what you need to do to get your website to rank higher, but also why various factors affect search engine optimization the way that they do. If you are just looking for SEO basics, this is a great place to start. No jargon or highly technical explanations here, just three straightforward tips any financial advisor can use. For financial advisors and planners, it could be argued that how your website ranks locally is more important than anything else. Many financial advisors still get most of their referrals and new leads from the local area and serve the community in which they live. This blog post covers a variety of tactics you can use to improve the ranking of your website in your local area. “The best SEO is great content” – this is an oft-repeated quote from Seth Godin, and it is is often said because it is very true. If you are looking to improve your website’s search engine ranking, one of the best places to start is with the content that is on your site. This video tutorial covers how our writers here at Twenty Over Ten go about the process of creating content for websites. They’ve broken down their process into six easy to follow steps so that you can use their method to develop your own content. At Twenty Over Ten, we’ve worked with hundreds of clients so we know that your chances of ranking higher in search engines is better if your site structure is well-organized and intentional. One of the most common questions we get is about web structure particularly how to rank high for SEO. This article covers four tips that explain how to create a website structure and keep SEO in mind. Once your website is live, there are a variety of steps you must take to ensure you have done all you can to get the best search engine ranking. 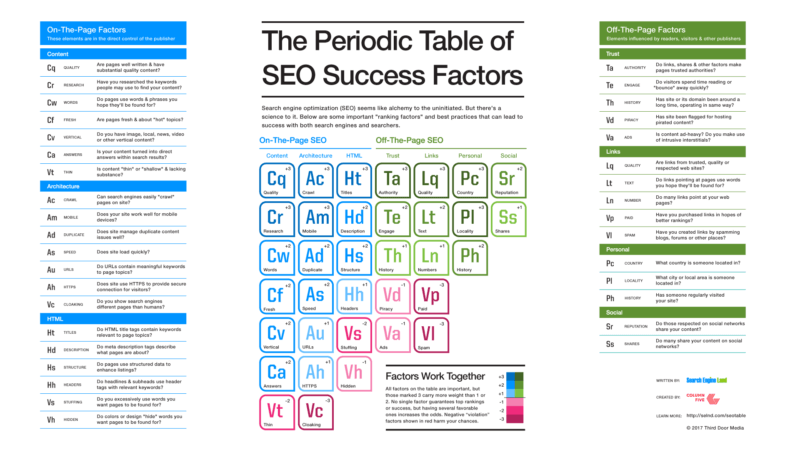 This checklist walks you through those steps, as well as provides a list of resources if you want to learn even more about SEO (such as the periodic table of SEO, below from Search Engine Land). According to latest reports from Google, 20% of searches are now by voice. There’s no denying that with the rise of smart phones people are looking for faster and easier ways to find answers to their questions. Enter: Voice search. Not only is it important to improve your site’s local SEO but it will also becoming increasingly important to optimize your site for voice search as well. The financial planning industry is only getting more competitive. With a 30% projected growth of financial advisors in the US from 2014 to 2024, it’s important you take the proper measures to make your firm stand out. Each year prospects will have more options in who to choose to partner with for their financial planning services, so how do you make sure your firm is on their radar? Here at Twenty Over Ten, we spend a lot of time thinking and talking about SEO. This is because it is always changing and evolving, so complex, and most importantly, vital to financial advisor marketing. The world is moving completely digital and you can’t fall behind! We are dedicated to keeping up with SEO factors for financial advisors so you don’t have to and have made on-page SEO easy with these six tips. As SEO continues to evolve and Google rolls out even more algorithmic updates, achieving top listings with local search results means transforming how you create content, optimize your site and track performance. This webinar tackles the topic of local search best practices financial advisors should be executing to improve their local rankings on popular search engines like Google. Among other features when choosing the right CMS for you and your firm, it’s important to also review and understand the SEO capabilities. When doing your research, keep these SEO capability musts in mind. How do you know if your SEO efforts are making a difference? It can be hard to tell sometimes because there may be many small, subtle changes that may take some time to materialize. You’re probably also using other marketing techniques and its tough to know which ones are responsible for any increases in web traffic or searches. However, there are certain things to look out for that will give you a pretty good idea of how your SEO is performing. Because its such an important topic, we get a lot of questions regarding SEO. We always love to answer any specific questions our clients have, but we’ve found that most advisors often have the same general questions when it comes to SEO. So today we’ve decided to address and answer some of the most frequently asked SEO-related questions so you can start creating the best SEO ranking website! Since launching our SEO Kickstarter package for advisors, our team has answered a ton of SEO questions and guided many advisors to SEO success. There’s one story in-particular we are eager to share with our readers today. So buckle in and join us on one advisor’s SEO journey. So we know SEO is good but it can also go really bad when executed incorrectly. 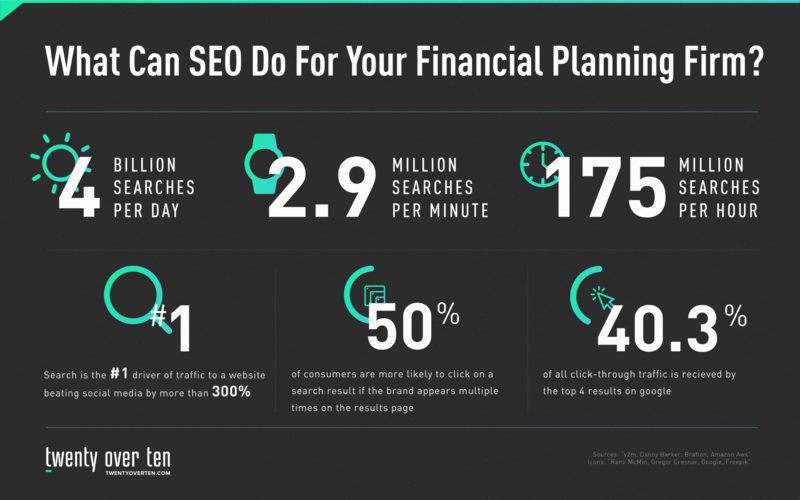 If you’ve decided to not seek help and are tackling improving your financial planning website’s SEO yourself you’ll want to be aware of these seven SEO sins before beginning your journey into the search engine world. Here we go – bring on the sins! Although it should never keep you from finding the right platform for your business, migrating between any two website providers can cause a dip in your ranking. We have developed a list of best practices so you can revamp your marketing and website without hesitation. These five tips will help mitigate any SEO issues during migration, cut down on the impact and set you up for long term SEO success. Google Webmaster Tools (GWT) is an incredibly valuable (and free!) resource to financial advisors and other non-webmaster professionals. Within the tools provided by GWT is Google Search Console, which we’ll be covering the basics of in this post. You don’t have to sign up for Google Search Console to be included in search results. However, having a basic understanding of how Google Search Console works and how to use the tool to optimize your site can greatly improve your site ranking within search engines like Google. Google has developed many tools like Google Analytics, Google Trends, and Google Search Console that have changed the marketing game forever. Google My Business is another free tool that is incredibly beneficial to financial advisors and something we consider a necessity. GMB makes the connection you need for prospects to find your financial services firm. There’s hundreds if not more factors that play into where your site ranks in search engines. This post distills the top 10 site-level SEO ranking factors for advisors and sharing instructions on how to implement these SEO boosts in a matter of minutes within the Twenty Over Ten platform. Since launching Content Assist, our users have had a lot of success in leveraging this tool and, while it is already straightforward, we wanted to make it even easier for you to get the most out of the articles you post to your blog. By making small tweaks to your Content Assist articles, you can add specifics like location and demographic information that can do wonders for your SEO. This post breaks down how to make these quick edits to your Content Assist articles and sharing some additional tips on how to fit articles to achieve your firm’s needs. This is a feature offered in all of our packages at no additional fee, and is only available to Twenty Over Ten users. Some of these include top ranking factors, SEO sins, testimonials, and more. Regardless, these are the five top visited articles that our visitors have found informative and insightful. We hope the below also becomes a great reading list to help you prepare for the new year ahead because we know SEO isn’t going anywhere. 22. SEO vs. PPC: Which is Best for Your Financial Planning Business? There are several tactics that can bring more attention and traffic to your advisor site, and SEO and PPC are arguably two of the biggest ones in today’s digital age. But what’s the difference, and which is better for your company? It’s not rare nowadays to have multiple office locations and many advisors often come to us worried that they are pigeonholing themselves by promoting only one of their locations. Need Help Optimizing Your Site for Search Engines?